Entering motherhood post-delivery is a beautiful feeling. However, along with that, mothers feel concerned as well about losing their pregnancy weight. With very little time left for themselves, a lot of new mothers are confused as to what to eat, which exercises to do, how much water to drink, which foods are good and many more. Some quick tips which will help new mothers follow their fitness journey post-partum. The World Health Organization recommends exclusive breastfeeding for the first six months of an infant’s life and continued breastfeeding until the infant reaches two years of age. Breastfeeding has enormous benefits for the baby as well as the mother. Breastfeeding burns about300 extra calories per day for lactating mother. A female store’s extra fat during pregnancy so that body can use those fat stores for providing extra energy during lactation phase. Along with losing weight, exclusive breastfeeding helps mothers contract the uterus and get back to proper body shape. It is important to set an achievable and practical goal. In the first week post-delivery, mothers lose weight of the baby which she has delivered, placental weight and water weight. Post this the weight loss slows down since body takes time to reduce the fat content and return to pre-pregnancy weight. 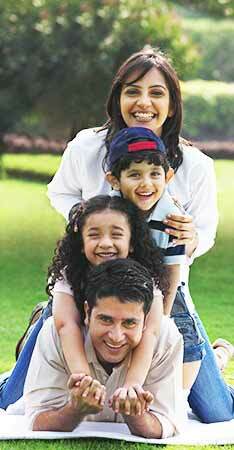 Mothers should not hurry and give their body sufficient time to lose weight. When it comes to calories, every mother can keep a track on their required calories. They should not consume too less or too many calories. If too less calories are consumed, then her metabolism can get affected. She should not eat for two as well. Mothers should have regular foods. Portion control will help them achieve their target. Instead of going for 2 or 3 big meals, they can divide their meals in 6-7 small portions. This will help them eat more nutritious food and they do not have to stay hungry for a longer time. Foods rich in fiber help in staying satiated and adds bulk to the diet. Both soluble and insoluble fiber help lose weight post-delivery. Fiber can be added in every meal by increasing intake of fruits, vegetables, whole pulses, and whole cereal throughout the day. 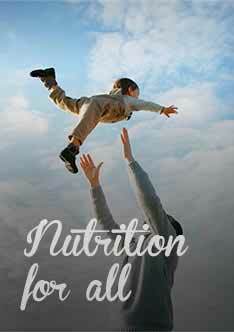 The focus should be on adding more proteins in mothers’ diets post-partum. Including proteins in every meal will help increase metabolism, recover from delivery stress, aid in better satiety and help maintain calories. Milk, Paneer, soybean, curd, whole pulses, nuts, eggs can be included in their daily diet. Refined carbohydrates and sugars are high in calories with no or very little nutritional value in them. Cold drinks, sherbets, artificial juices, cakes, pastries, jam, jellies, sweet spreads, table sugar should be avoided. These foods add extra calories to the meals and do not allow the mothers to lose extra weight. The foods that you munch on can have a big impact. Always keep healthy options around you. You might think, how will I come to know if the snack is healthy? Always opt for fresh foods like fruits, vegetable sticks, nuts, curd, coconut etc. If you are opting some packaged food which says “healthy” please read the nutritional label behind and decide whether is it really healthy or not. Drinking sufficient water is vital for everybody to maintain good health and fitness. Postpartum, mothers breastfeed and its very important for them to stay hydrated to replace the fluid loss from the body while feeding. Drinking enough water boosts the metabolism and helps in losing weight. You have lots to look after once your baby is born but doing some form of physical activity is extremely important for mothers. All forms of exercises are good for mothers. Focus on exercises which give you relaxation and also help in burning calories. Postpartum exercise helps females strengthen their core muscles and aids in better recovery and weight loss. Just discuss with your doctor once before opting for any particular form of exercises. 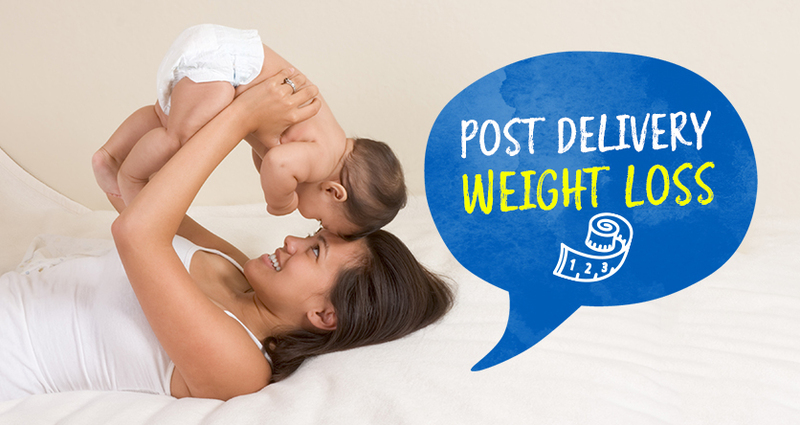 Few smart choices post-delivery will surely help you lose weight.